Human suppression of fire has resulted in “conifer encroachment”, a term rangeland managers use to refer to the growth of conifers in sagebrush landscapes where trees would not typically grow. If as little as 4 percent of the sagebrush landscape is checker-boarded by conifers, sage-grouse will avoid treed areas to escape predation from ravens and birds of prey. 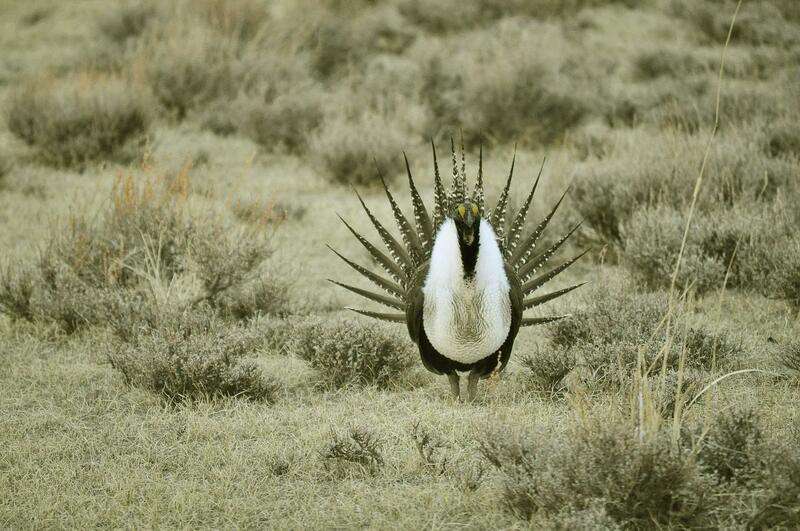 As much as 60,000 acres of sage-grouse habitat are affected by conifer encroachment. While it may seem counter intuitive to cut down trees, removing conifers is one of the most efficient ways to improve habitat, says USU Extension Wildlife Specialist, Terry Messmer.